If you are thinking of popping the question to your girlfriend in the upcoming months or weeks, then it is essential that you pick out the correct ring. Ring selection can be very frustrating and confusing, especially when you thousands of choices to choose from. You don’t want to be too cliché by getting a ring that everybody else has, but you don’t want to spend a fortune getting a ring that is too over the top. The correct type of ring may be a heart engagement ring. They are rare, but not so expensive that you can’t afford them. 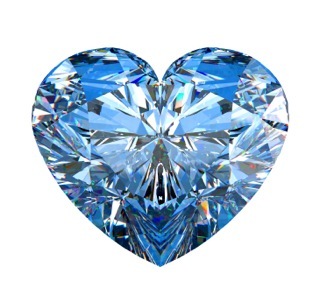 Heart engagement rings are typically a diamond that is cut into the shape of a heart. They are very unique and very few people have them. Most jewelers sell heart shaped diamonds that are pre-cut, but if you want a stylized one you may have to search a bit harder. Being a diamond, the cost is naturally higher than most other materials. Despite this, giving your significant other a heart engagement ring is one gift they will never forget. Like most rings and other jewelry, diamond rings are measured in carets, and heart shaped diamond rings are no exception. The most common size of these rings are 1-2 carats. You will typically not find any diamond heart ring under the size of 1/3 carat, simply because it is too small to see the intricate details that you may otherwise see with a larger diamond. If you are really looking to impress, hearts all the way up to five and six carats are available, but they are very expensive and generally reserved only for the rich. Being made entirely of diamond, heart engagement rings will generally cost more than more mainstream rings, even though they will often weigh the same. As a ballpark figure, you can expect to pay about $2000 for a one carat ring, which is the most popular weight. Since the price is so high, many people often ask the question: are diamond heart engagement rings actually worth it? This question is subject to nothing but opinion, but many people say that despite the cost, heart engagement rings are absolutely worth it. Naturally, any diamond ring will impress, but one that is cut into a shape of a heart will really send the message home that you care about your soon-to-be fiance. When purchasing such an expensive ring, sizing is everything. Now, many men run into a problem here. You need to get your girlfriend’s exact finger size, but you don’t want to hint that you are about to propose. A good method here is to buy her a ring entirely unrelated to marriage, perhaps a “friendship” ring or something of the sort. The main goal is here to find out what her finger size is so when you purchase the real ring, you get the correct size. If you want to be more up front about it, you can take her with to purchase the real thing. This will ensure that you get the correct size, but you won’t have the opportunity to surprise her with your proposal and ring. While heart engagement rings aren’t the most customizable ring out there, you can still change quite a few aspects about them. First, you can change just how the heart looks. Perhaps you don’t want a perfect heart that looks too cliché. You can have the jeweler cut designs into the heart itself, or inlay gold or another gemstone to make it really stand out. The other aspect that can be easily customized is the ring. Your jeweler should have many options to choose from, but if you see nothing that fits your interests, many jewelers will customize the ring itself. Of course, ordering a custom made ring will cost at least 2 times more than if you had just ordered a pre-made one. Heart engagement rings can be found at just about any jewelry store around the nation. Although you can buy them online, it is almost imperative that you go into a jewelery store to actually see the ring before you purchase it. All too often, people purchase rings online and are disappointed when the ring arrives at their doorstep. If you insist on purchasing a ring online, one of the best places is Kay Jewelers. They have established an excellent reputation throughout the years and have a wide selection of rings to choose from. Check them out at www.kay.com. Since purchasing a diamond ring of any sort can be expensive, it is imperative that you be on the lookout for ways to save money. One of the best ways to do this is to wait until your local jeweler is having a sale. Sales generally mean all merchandise in the store is marked down up to 20-30%, saving you a lot of money in the process. Another great tip for saving money is to negotiate with the jeweler to see if they will come down on the price. Now, don’t expect any major jewelery chain to come down much on their prices, but your local family-owned jewelery store might be more willing so they can get a sale. One of the worst feelings in the world is spending a fortune on a heart engagement ring and then finding out your soon-to-be fiance doesn’t even like it. Before you go about planning your purchase, ask your girlfriend if she likes the thought of a diamond ring. If not, ask her what kind of ring she is attracted to. This way, you will not be wasting your money purchasing something that she doesn’t want. There are many advantages to purchasing a heart engagement ring for your fiance, but there are also some disadvantages. It is important to weigh them against each other before making the big purchase. Heart engagement rings are unique and one of a kind. The chance of seeing another woman with a heart engagement ring is slim to none. Heart engagement rings are beautiful in almost every aspect. They are shiny, smooth, reflective, and have an aura of beauty surrounding them. You can customize your ring any which way you want. Whether you are customizing the heart on top or the ring itself, there are hundreds of possible combinations you can make. The main disadvantage in purchasing a heart engagement ring is the cost involved. Even for a relatively small ring (1 caret) you can be looking at prices upwards of $2000. If you want to really impress with a larger ring, you may be looking at prices upwards of $50,000. Obviously, most people do not have this kind of money to spend on an engagement ring. Depending on your fiance’s personality, she may not like the ring. Even though they are very unique and rare, this might work against you. Your fiance may not like the idea of having a ring that nobody else has. Sometimes people just want to fit in. Another disadvantage of purchasing a heart engagement ring is that they are not as customizable as other rings of the same price. There is generally no option to insert gemstones or other metals into the ring, because the main centerpiece is the heart diamond. Heart engagement rings are one of the most beautiful and rare rings that can be purchased. While they have much higher price points that many mainstream rings, that price is easily offset by the pure majesty and aura that surrounds a heart engagement ring.